Based on author Philip Pullman's bestselling and award-winning novel, The Golden Compass tells the first story in Pullman's "His Dark Materials" trilogy. The Golden Compass is an exciting fantasy adventure, set in an alternative world where people's souls manifest themselves as animals, talking bears fight wars, and Gyptians and witches co-exist. At the center of the story is Lyra (Dakota Blue Richards), a 12-year-old girl who starts out trying to rescue a friend who's been kidnapped by a mysterious organization known as the Gobblers - and winds up on an epic quest to save not only her world, but ours as well. The Golden Compass stars an ensemble cast that includes Nicole Kidman, Daniel Craig, Sam Elliott, and Ian McShane. $25.783 million on 3528 screens. After the enormous success of the Lord of the Rings flicks and The Chronicles of Narnia: The Lion, The Witch and The Wardrobe, studios rushed to adapt any epic fantasy novels they could find. They all hoped for franchises to equal those two. To date, those efforts haven�t lived up to expectations. Fox went with Eragon in 2006, but it topped out with a mediocre $74 million and plans for a franchise went down the drain. A year later, The Golden Compass repeated this pattern. It sported an enormous budget and came as the intro to another planned series of flicks. After it pulled in a lackluster $70 million, though, and plans for a sequel are up in the air. Perversely, I must admit the flick�s fate made me interested to give it a look and decide if it deserved better. Compass takes us to a parallel world in which souls walk alongside people in the form of animal spirits. A group called the Magisterium rules and quashes any dissenting opinions. Lord Asriel (Daniel Craig) becomes one of their targets since he espouses reason and logic. In fact, an agent of the Magisterium attempts to poison Asriel, but his niece Lyra Belacqua (Dakota Blue Richards) saves him. He claims to have access to an alternate world, and his investigation may blow the doors off societal beliefs. A surly tomboy, Lyra wants to do her own thing, but Asriel insists that she be educated like a young lady. A mysterious figure named Mrs. Coulter (Nicole Kidman) takes a quick interest in Lyra and offers to take her north with her to meet the Ice Bears. Lyra leaps onto this chance, but she doesn�t realize that Coulter maintains a connection with the Magisterium. They plan to do whatever it takes to maintain their hold on society, which means they need to keep Asriel�s findings under wraps. Before she goes north with Coulter, Lyra receives a special gift: an alethiometer or �golden compass�. This device allows its bearer to know the truth, not just surface appearances. The film follows Lyra�s adventures and the battles to save her world. Perhaps Compass failed to find an audience due to its rather strident anti-religious viewpoint. That may give the masses more credit than they�re due, as it assumes the general public would be aware of the film�s slant. Whether knowledge of the movie�s attitude affected the grosses or not remains unknown to me, but that side of things can�t have helped. Narnia was seen as a pro-Christian effort, and I believe that contributed to its success; a tale that goes in the opposite directions seems likely to encounter resistance. Or maybe no one thought Compass looked good. I can�t blame them, as trailers failed to sell it well, and the end product lacks much to endear it to audiences. It comes across as just another rip-off of its more popular predecessors and fails to deliver a lot of involving material. It�s not a good sign when a cartoon bear stands as the movie�s most interesting character. Not that we spend much time with most of them. Lyra gets tons of screen time, but many of the others appear as glorified cameos. Though Craig and Kidman get top billing, they show up infrequently and don�t make much of an impression. A few other names like Eva Green, Sam Elliott and Christopher Lee can be seen in very quick takes; they come and go so rapidly that you wonder if they had cabs waiting for them. As Lyra, young Richards received the vast majority of the screen time. I�d heard some bad things about her performance, but I find no real fault in her work. She�s often little more than a prop for the visual effects, and I think she holds her own just fine within the fantasy world. She doesn�t offer an especially powerful performance, but she doesn�t harm the movie, either. Instead, its lack of focus and its general chattiness cause problems. At its heart, Compass tells a pretty simple tale, but the filmmakers seem to go out of their way to make it appear more complex. Perhaps they thought that this would give it a sheen of depth, but those attempts fail. Instead, of complexity, the story seems muddled and almost nonsensical. And it really is a talky piece of work. We sit through endless bits of exposition as the story plods. When pushed into a fantasy flick like this, we expect more expository information than normal since we need to learn about the new setting. A good film integrates that material in a smooth, concise manner, whereas Compass shoves it in seemingly at random. Momentum grinds to a halt as we deal with awkward explanations. One massive problem occurs because New Line clearly planned on a sequel to Compass: the film has no ending. 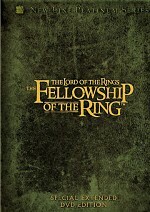 Ala the first two Lord of the Rings movies, it ends mid-quest. That was fine for those flicks since we knew that their stories would continue a year later. In this case, though, fans are left stranded since it appears unlikely a continuation will hit screens. But at least those bears seem pretty cool! Really, that�s about the only fun Compass has to offer, as the bits with the ice bears provide some dynamic moments. When we get stuck with the humans or the meandering story, however, the film falls flat. Casting footnote: does Craig have a �leading lady� clause in his contract that requires him to only appear in films with Kidman or Green? Eva was his main squeeze in Casino Royale, while Kidman starred with him in The Invasion. Neither does much with him here, but I think it�s interesting to see these repeating patterns. Character name footnote: it would be easy to view the Kidman role�s name as a crack on venomous conservation commentator Ann Coulter. After all, both Ann and �Mrs.� are evil, icy blondes. However, Philip Pullman wrote the novel before Ann Coulter became known, so the names clearly are a coincidence. 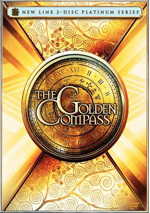 The Golden Compass appears in an aspect ratio of approximately 2.35:1 on this single-sided, double-layered DVD; the image has been enhanced for 16X9 televisions. I found a lot to like in this splendid transfer. No issues related to sharpness occurred. Despite the many wide shots that occurred, the image remained rock solid. I saw no softness at all, as the picture appeared crisp and detailed. I also detected no jagged edges or moir� effects, and edge enhancement seemed absent. Those in search of print defects will hunt in vain, as I witnessed no specks, marks, or flaws of any sort in this clean presentation. Compass displayed a moderately stylized palette. Much of it went with something of a golden tone, while northern scenes mainly used a cold blue/gray. 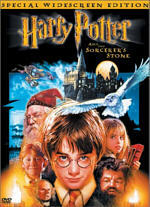 The DVD clearly replicated the movie�s intended palette. The colors were appropriately vivid when necessary and seemed accurately depicted. Black levels also came across well. Dark shots demonstrated good depth and clarity. Low-light shots were nicely displayed and seemed clear and adequately visible. Shadow detail was clean and tight. Again, this was a very strong presentation that reproduced the movie swimmingly. The Golden Compass included both Dolby Digital EX 5.1 and DTS ES 6.1 soundtracks. Across the board, I found the two soundtracks to seem identical. I flipped back and forth between the pair and noticed no differences at all. Often I detect some improvement in transparency or bass response for the DTS mix, but that didn�t happen here. Instead, the two tracks came across as exceedingly similar � and loud. Be careful with that volume control, as I needed to turn it down about 5db lower than normal for both the DD and DTS mixes. The soundfields appeared very active and involving. All five channels presented lots of material that kept the viewer at the center of a realistic and immersive world. Elements seemed appropriately placed and they blended together well. Flying creatures soared from location to location accurately, and other pieces popped up in their proper places too. The whole thing meshed together quite nicely, and the piece worked nicely. Not surprisingly, battle sequences were the most impressive, but the entire package seemed strong. Audio quality equaled the positive nature of the soundfield. Speech was natural and distinctive, and I detected no issues connected to intelligibility or edginess. Music sounded bright and vibrant, as the score presented rich and full tones. Effects came across as accurate and concise. No problems with distortion appeared, and these elements were clean and broad. Bass response was excellent, as low-end consistently sounded tight and powerful. The audio of Compass presented a positive experience. 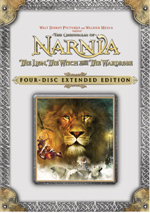 This two-disc �Platinum Series� release of Compass packs many extras. On DVD One, we find an audio commentary from writer/director Chris Weitz. He offers a running, screen-specific discussion of story elements and the adaptation of the source novel, cast, characters and performances, sets and locations, production design and cinematography, costumes and props, various effects, and a few other elements. Weitz takes the �screen-specific� concept pretty seriously here, as he almost always sticks pretty closely to a discussion of the parts of the movie as they pass. That means we don�t get much context, but Weitz nonetheless manages to offer a nice production overview. He digs into the different aspects of the flick well and makes sure that we remain involved in his chat. A few ads open the DVD. We get clips for Journey to the Center of the Earth 3D and the World Wildlife Fund. These also appear in the Sneak Peeks area along with promos for Kit Kittredge: An American Girl, The Last Mimzy, The Lord of the Rings and The Snow Queen. Over on DVD Two, we find a mix of featurettes and galleries. We start with The Novel, a 19-minute and six-second program that includes remarks from Weitz, author Philip Pullman, producer Deborah Forte, Newcastle University Professor Children�s Literature Kim Reynolds, Darkness Visible: Inside the World of Philip Pullman author Nicholas Tucker, executive producers Ileen Maisel, Mark Ordesky and Andrew Miano, and actors Daniel Craig and Dakota Blue Richards. We learn about how Pullman became an author, the development of the novels and characters, and the project�s move to the screen. �Novel� becomes a little too fluffy at times, as it tells us a lot about how great the books are. Still, we find some good insights and the program works well enough to satisfy. More info comes to us via the 16-minute and 11-second The Adaptation. It provides notes from Weitz, Ordesky, Forte, Miano, Richards, Craig and actor Nicole Kidman. Despite its title, �Adaptation� doesn�t tell us much about the script. Instead, it focuses more on how Weitz got the gig, left it, came back, and dealt with the production. Expect more happy talk here, but there�s also some reasonably blunt discussion of the problems experienced through the search for a director and the fan reactions to Weitz. A look at casting emerges through Finding Lyra Belacqua. The 15-minute and eight-second show involves Weitz, Richards, Pullman, Forte, Kidman, Craig, Dakota�s mother Mickey Richards, and casting directors Fiona Weir and Lucy Bevan. We look at the auditions process and see how Richards got the part. Plenty of good behind the scenes shots help make this an involving program. Daemons runs 19 minutes, 55 seconds and offers remarks from Pullman, Weitz, Kidman, Richards, senior VFX supervisor Mike Fink, supervising art director Richard Johnson, Rhythm & Hues Studios VFX supervisor Bill Westonhofer, puppeteer Tommy Luther, VFX standby propman Wes Peppiat, Rhythm & Hues animation director Erik Jan de Boer, Rhythm & Hues co-VFX supervisor Raymond Chen, and actor Freddie Highmore. Pullman tells us how he came up with daemons in the book, and the others tell us how they were brought to life for the film. That means we learn about character design, effects and other technical elements. The show mixes creative info with nuts and bolts details to present a nice glimpse of the issues. For a glimpse of the film�s iconic prop, we head to The Alethiometer. It fills 14 minutes, 56 seconds with statements from Weitz, Pullman, Richards, Johnson, production designer Dennis Gassner, prop master Barry Gibbs, conceptual artist Virginie Bourdin, prop maker James Enright, metal worker Edward Barton, modeller Christopher Clarke, and enamel artist Keith Seldon. This piece looks at the design and creation of the alethiometer. Ala �Daemons�, this one digs into both creative and technical subjects. It becomes a satisfying examination of the subject matter. Next comes the 26-minute and one-second Production Design featurette. It features Weitz, Forte, Gassner, Pullman, Gibbs, Enright, Johnson, Ordesky, Bourdin, Miano, construction manager Andrew Evans, conceptual artist Dan Walker, director of photography Henry Braham, special FX supervisor Trevor Wood, senior special effects Rodney Fuller, snow man Steve Shelly, armorer Nicholas Jeffries, and actor Sam Elliott. The show covers the conceptual design of the sets and other production elements before it digs into specific details about these components and how the filmmakers constructed them. It�s another useful program packed with good details. We take a glimpse of the movie�s clothes via Costumes. This show goes for 11 minutes, 48 seconds with Weitz, Forte, Craig, Richards, Kidman, Elliott, Pullman, costume designer Ruth Myers, costume supervisor William McPhail, and actors Eva Green, Steve Loton, Jim Carter, Derek Jacobi, and Simon McBurney. As expected, we find out about the design of the costumes as well as aspects of their creation. I feel like a broken record, but I have to offer praise for this piece, as it becomes useful and fun like its predecessors. Locations come to the fore in the seven-minute and 32-second Oxford. It provides statements from Pullman, Forte, Gassner, Weitz, and Braham. Some decent notes about the English college locations and their depiction on film emerge in this reasonably involving piece. Armoured Bears goes for 17 minutes, 42 seconds and includes Weitz, Pullman, Fink, Enright, Gibbs, Richards, Framestore CFC animation supervisor Dadi Einarsson, Framestore VFX supervisor Ben Morris, Framestore R&D and effects supervisor Alex Rothwell, and Framestore creative supervisor Matthew Hughes. �Bears� acts like a companion to �Daemons�, as it covers the same sorts of creative and technical issues discussed there. Of course, here the program focuses on the titular bears, and it provides a satisfactory examination of their design and implementation. We learn more about the film�s score with Music. During the 11-minute and 49-second piece, we hear from Weitz, executive music producer Paul Broucek, and composer Alexandre Desplat. The piece gives us information about the score and its recording. It�s not one of the DVD�s most fascinating shows, but it works acceptably well. Finally, The Launch runs seven minutes, 58 seconds and offers notes from Weitz, Miano, Richards, Elliott, Mickey Richards, Forte, Pullman, junket producer Colin Burrows, New Line Cinema Senior VP International Publicity Tracy Lorie, hair and makeup artist Yvette Redmond, and journalists Liso Mzimba and Ward Verrijcken. We get a look at the publicity machine and how Richards had to perform under that spotlight, but the program mainly exists to tell us what a great kid she remains. In addition to both a teaser and two theatrical trailers, DVD Two includes some galleries. Most of these provide thumbnailed stills. These come under �Daemons� (35 images), �Production Design� (122 across three subdomains), �Costumes� (56), �Armoured Bears� (12) and �Posters� (16). We also get an �interactive gallery� for �The Alethiometer�. It gives us a close-up look at all the symbols on the device. Plenty of good elements appear across these collections, though I probably like �Costumes� and �Posters� most of all. I enjoy good fantasy films, but unfortunately, The Golden Compass lacks much to make it a quality piece of entertainment. It tells a muddled tale with underdeveloped characters and little involving action. I can�t fault this DVD, though, as it presents excellent picture and audio along with a strong collection of supplements. If you like Compass, this release is well worth your time, but I find it hard to recommend the mediocre film otherwise.